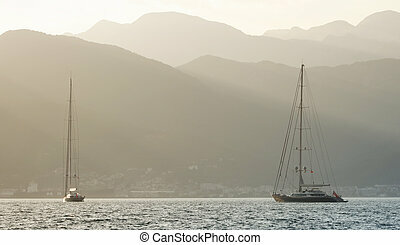 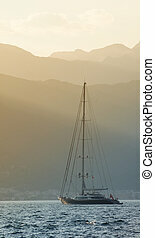 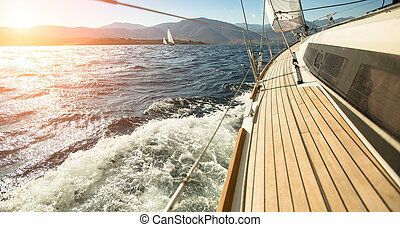 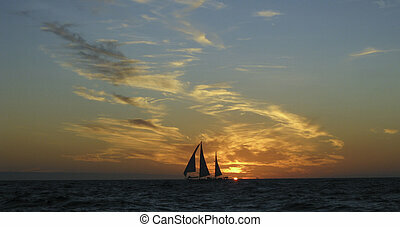 Sunset sailing. 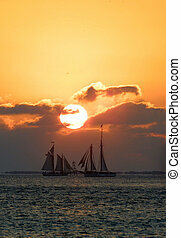 Sailing ship at sunset off isla mujeres, mexico. 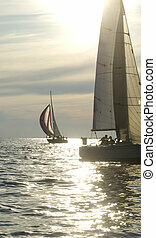 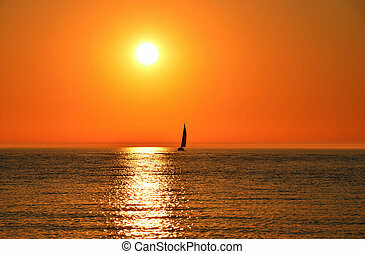 Sailboat sailing on Lake Michigan at sunset. 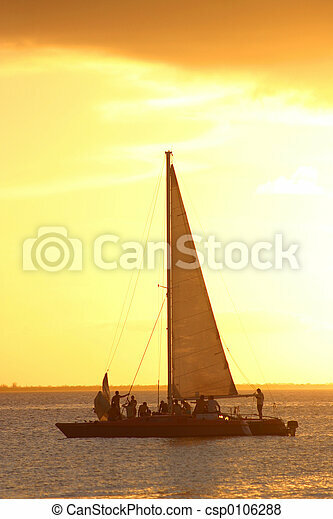 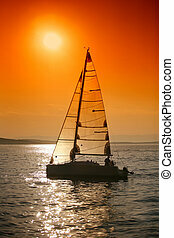 Sailing in the sunset. 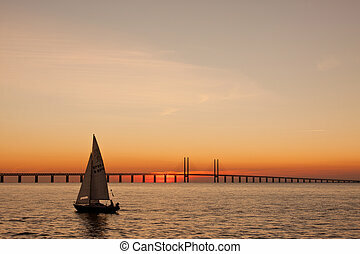 From the channel between Denmark and Sweden. 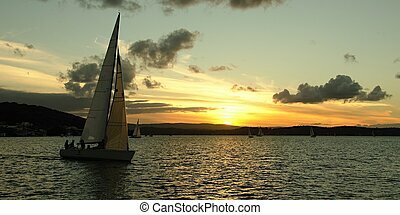 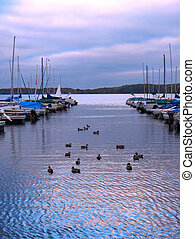 Sunset finish to twilight sailing event, Lake Macquarie Sailing Club, New South Wales, Australia. 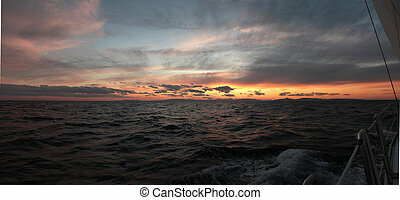 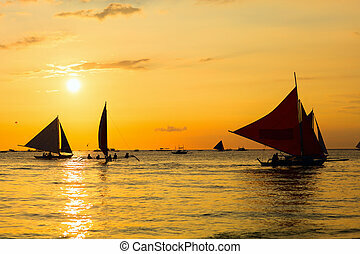 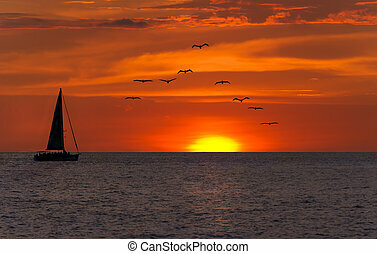 Ocean sunset sailing fantasy is a bright yellow sun setting against a vivid red sky as a sailboat sets on its journey as a flock of seabirds fly overhead.